Proven Results, Low Costs & Amazing Support –it’s a WIN WIN! Looking for your own hospitality business but bored with what’s on offer? Or perhaps you don’t have the funds to start from the ground up? Either way, you’re going to love The Global Local. 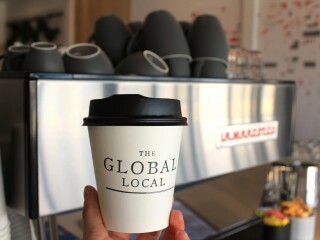 The award winning Founders of The Global Local successfully built up and ran 10 cafes over the last 6 years. They have taken their experience in doing so and created this new vibrant business model. Now, they want to share their knowledge and experience with a like-minded community of people. They are currently offering franchise opportunities in Tarneit West, Brunswick and Oakleigh, with other locations coming on board soon. - New technology that assists with profit positive business decisions-no need for a chef! - Multiple awards, including Telstra Business Award for 'Best Start-Up'a finalist in the Optus Business Awards. The company can also work with you to find a suitable location and assist with lease negotiations to ensure the best conditions possible. Is this opportunity for you?If you’re a self-starter, collaborative, creative and passionate about Quality, Consistency and Customer Service, then the answer is YES!